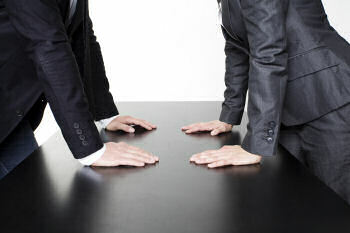 Filing a lawsuit is never the preferred method for remedying a business dispute as it leads to further expense. However, when you have exhausted all other avenues, litigation is the only resort left. It is important to remember that different kinds of claims have differing statute of limitations that could bar your recovery if too much time has passed. At the Law Offices of Benjamin E. Golden, PLLC, we have handled numerous business litigation lawsuits. Contact us today for a free consultation to ensure that none of your claims to recoup funds will be time-barred. Alternatively, if you have been sued concerning a business dispute, we are also here to help. We have handled the defense and counterclaims in a multitude of business disputes. You may be tempted to simply ignore a lawsuit that has been filed against you or your business, but that is almost never the best approach. Failing to respond to a lawsuit could result in a default judgment being taken against you and collection efforts beginning immediately thereafter. Contact us today to see what defenses and counterclaims you may have to the business lawsuit filed against your or your company. Contact us now at (210) 802-9377 for a free consultation about your business dispute. Click below to get more information on other business issues. I would like to form a business (LLC, Corporation, Partnership, etc.). I am buying or selling a business.